Just using a few uplights spread evenly throughout a wedding venue can enhance the mood to make your wedding a night to remember. Using uplighting to bring out the colors of your wedding, your bridesmaids dresses, your flowers and the aspects of the room help create a truly unique and exceptional wedding aura. 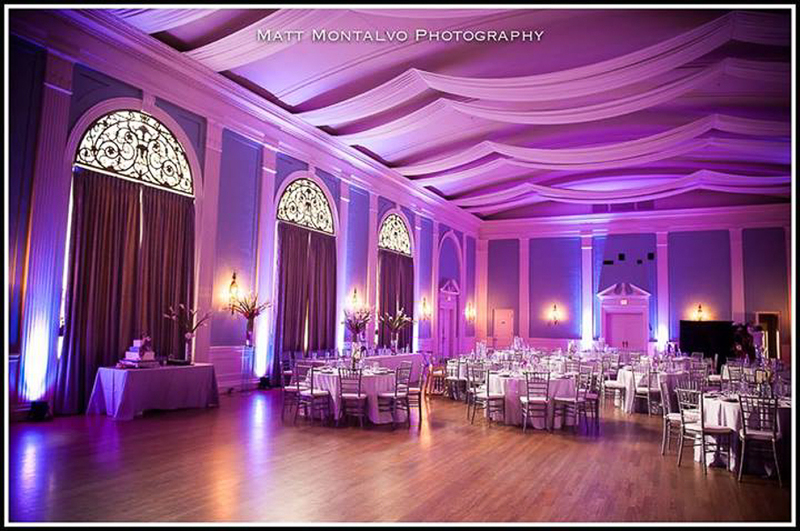 Austin wedding uplighting creates a dramatic impact that your guests will be talking about long after the wedding. LEDs or Light Emitting Diodes are the latest in event lighting. They emit virtually no heat, have very saturated and deep colors and can be very bright. They can recreate just about any color that a TV set can. These lights are made up of red, green and blue individual LEDs that when combined with different intensities blend together to create just about any color. These lights are perfect for uplighting because they emit no heat, are very durable and use very little electricity.